Are you the type of person who feels bad about not working out? Do you think that you should work out but always come up with the excuse of not having enough time? If you are really leading a busy life then this workout routine should be your life saver. You don’t have to go to the gym for this workout, nor do you have to spend hours at it. This full body workout will be done in only 5 minutes. That’s right; you only need 5 minutes during which you will do 8 different exercises for 20 seconds each. You will take a break of 10 seconds after each exercise. You can mix and match the exercises based on your fitness activity. This workout, however, is not an alternative for going to gyms. The first step of this routine is to do as many pushups as you can within 20 seconds. 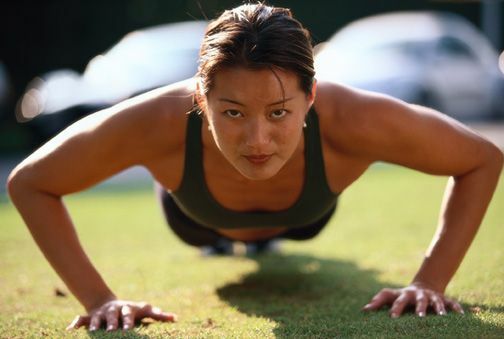 Pushups are a compound exercise that works the chest, shoulders, biceps and triceps. It is a very effective exercise and once you get the hang of it, you can try different variations of pushups. After that, you take a break of 10 seconds.